Family Promise of Monroe County received $1,000 from WCF. Family Promise of Monroe County recently received a $1,000 donation from Woodforest Charitable Foundation. Family Promise of Monroe County recently received a $1,000 donation from Woodforest Charitable Foundation. 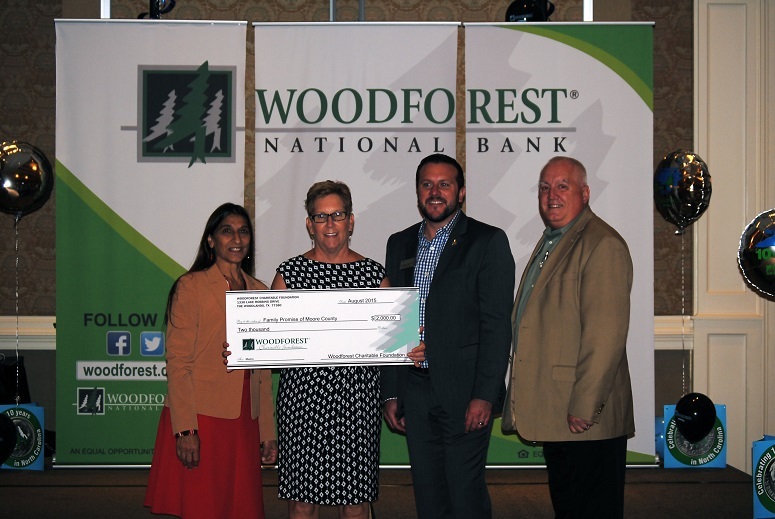 Woodforest Charitable Foundation: The Woodforest Charitable Foundation was created by Woodforest National Bank in 2005 as a direct result of its desire to support and invest in the communities in which it serves. The Foundation is committed to assisting those in need, enriching lives and communities through dedicated leadership and faithful administration by providing funding to qualifying 501(c)(3) charities. For additional information regarding the Woodforest Charitable Foundation, call (832) 375-CARE (2273) or visit the foundation’s website at www.wcf.org. Woodforest National Bank: Celebrating 35 years of service and ranked among the top earning banks in the United States, the Woodforest family of banks currently has assets of approximately $4.6 billion and services more than 1,000,000 customers with branches in excess of 760 throughout seventeen states: Texas, Alabama, Florida, Georgia, Illinois, Indiana, Kentucky, Louisiana, Maryland, Mississippi, New York, North Carolina, Ohio, Pennsylvania, South Carolina, Virginia and West Virginia. For information about Woodforest National Bank, please call 832-375-2000 or visit the bank’s website at www.woodforest.com.